Governor Larry Hogan signed Maryland’s first Lyme disease bill into law on May 13, 2016. The Lyme Disease-Laboratory Test-Required Notice bill was passed unanimously in both the Maryland Senate and House of Delegates in April. The law requires health care providers and medical laboratories that draw blood for a Lyme disease test to give patients a written statement explaining that current testing for Lyme disease can be problematic and that a negative result doesn’t necessarily mean you don’t have the disease. 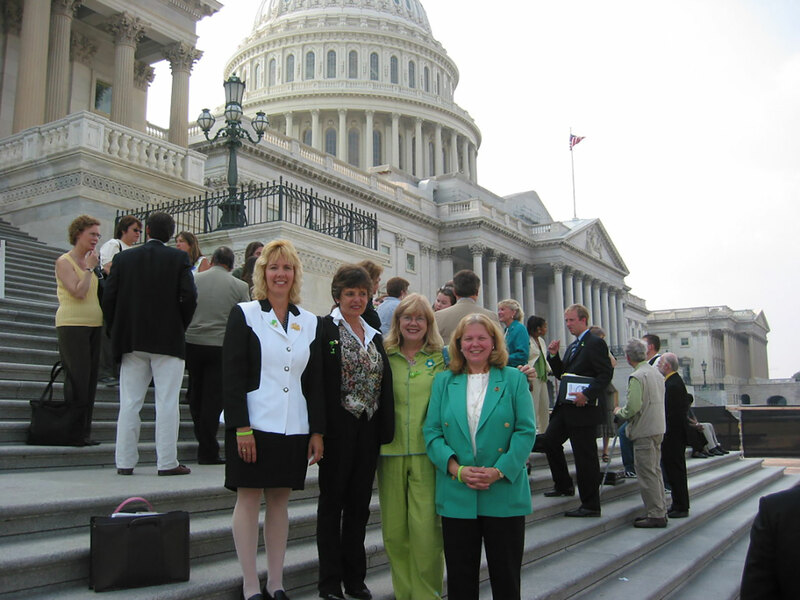 “It is with great pleasure that I am finally bringing this bill home to help the people of the state where I reside,” said Susan R. Green, National Capital Lyme Disease Association’s (NatCapLyme) legislative counsel and one of the original architects of the bill. “It has been a long time coming,” she added. Lyme disease is the fastest growing vector-borne infectious disease in the United States, with the Centers for Disease Control estimating more than 300,000 new cases a year, although many experts believe that the actual number is much higher. The number of confirmed cases in Maryland is rising steadily. Because early recognition of Lyme disease is so crucial to successful treatment, this patient notification bill has the potential to change many lives. “We are very hopeful that this measure will inform both patients and physicians of the potential for inaccurate test results,” said Delegate Karen Lewis Young (D-District 3A), a co-sponsor of the House bill. “This alert may lead to earlier diagnosis and a better chance of recovery,” she added. The number of reported Lyme disease cases has increased 25-fold since 1982, when national surveillance of Lyme began. Fewer than half of diagnosed patients recall a tick-bite or rash, which can lead to more and more people getting and remaining sick. “I am pleased to have co-sponsored this Lyme bill with Senator Young. The fact that the legislation passed unanimously in both the Senate and House of Delegates demonstrates a strong commitment to act decisively to assist Marylanders who suffer from this insidious disease,” said Senator Brian Feldman (D-District 15). NatCapLyme will be eternally grateful for lobbyist, Gil Genn, whose relentless pro-bono work and unswerving commitment made this law a reality. “The unanimous passage of the Lyme disease lab test notice will now give afflicted patients the statutory right to informed decision-making in determining their health care treatment protocols,” said Gil Genn Esq., of Capitol Hill Strategic Advocates. The Lyme Disease-Laboratory Testing-Required Notice law is a broadened version of Virginia’s landmark law of 2013, and NatCapLyme is encouraging all states with a prevalence of Lyme disease to pass legislation modeled on the new Maryland law.